What characteristics do colleges seek in an applicant? Ask Amazon's Jeff Bezos. What characteristics do colleges seek in an applicant? Ask Amazon’s Jeff Bezos. 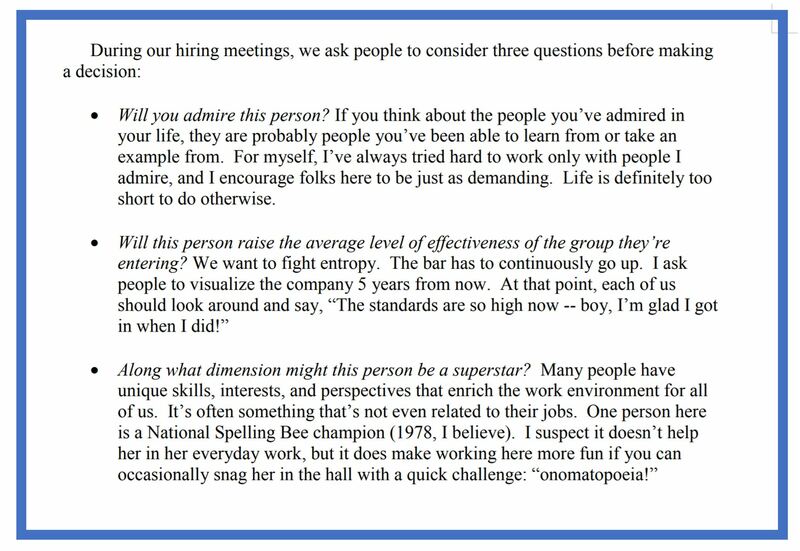 A recent article on CNBC’s website revisited Amazon Founder and CEO Jeff Bezos’ 1998 Letter to Shareholders in which he shared his three essential interview questions for new hires. The article struck a chord; not because I am seeking a job with Amazon, but because it was published on August 1st, the day The Common Application went live for the 2018-2019 application year. As a college admission professional, the similarities between the qualities that make an interviewee a strong candidate for a career at Amazon and those traits that make a college applicant competitive for admission were easily recognizable. Here’s a brief run down on how these three Amazon questions apply to college applicants. Jeff Bezos wrote, "If you think about the people you've admired in your life, they are probably people you've been able to learn from or take an example from." An admission officer does not need to enjoy your favorite hobby or share your political viewpoints to find what you do admirable. What gets noticed are the tangible factors such as dedication to an activity or class, or the impact your contributions make to your community. Letters of recommendation may include examples of your daily classroom interactions, demonstrating your character. Think soft-power. It doesn’t need to garner a spot on your resume to indicate that you are held in high regard. This is a great reminder that grades in core academic courses are the most important factor in admissions. Students need to prove that they are not just capable of doing the work, but that they can thrive in the academic environment of their preferred institution. Bezos’s commitment to increasing standards resonated with alumni everywhere when he said,” I ask people to visualize the company 5 years from now. At that point, each of us should look around and say, 'The standards are so high now — boy, I'm glad I got in when I did!'" Students need to have solid academic qualifications to avail themselves of opportunities both inside and outside the classroom; to be able to collaborate with classmates, engage in academic and research opportunities with professors, and still manage activities or a job. Applicants who meet minimum requirements or averages will not be competitive for admission. This is the crux of holistic admissions. Admission to a college in the United States is different than many other countries because test scores are not the sole criteria. While grades in core academics will always be a primary factor, colleges seek to enroll a class comprised of students who bring multiple talents, viewpoints, and backgrounds. Like Amazon, colleges consider how students will enhance their campus community. Besides a seat in the classroom, what will you bring? Remember, admission officers seek reasons to admit, not deny students, so share your individual story! Comments on "What characteristics do colleges seek in an applicant? Ask Amazon's Jeff Bezos."